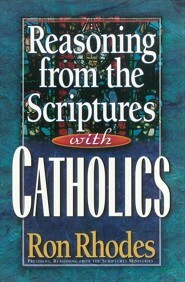 Anyone interested in sharing the gospel with Catholic friends or understanding where members of that denomination stand on important points of theology will appreciate this thorough yet easy-to-use reference. 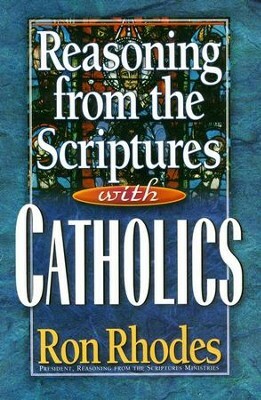 Using the simple, step-by-step format applauded by readers in Rhodes' previous books, Reasoning from the Scriptures with Catholics covers the many theological issues that divide Protestants and Catholics. 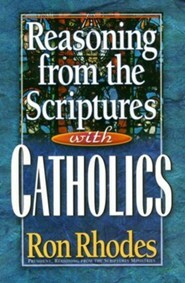 Each chapter examines a single Catholic belief or practice as taught in the Catholic Catechism and other major Catholic sources, provides biblical responses, and offers questions to help Catholics examine their church's readings. Pastors, teachers, and lay leaders will find this insightful guide a must-have tool for sharing the good news of salvation by faith alone with Catholic friends and family members. 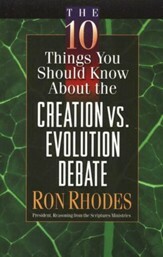 I'm the author/artist and I want to review Reasoning from the Scriptures with Catholics.